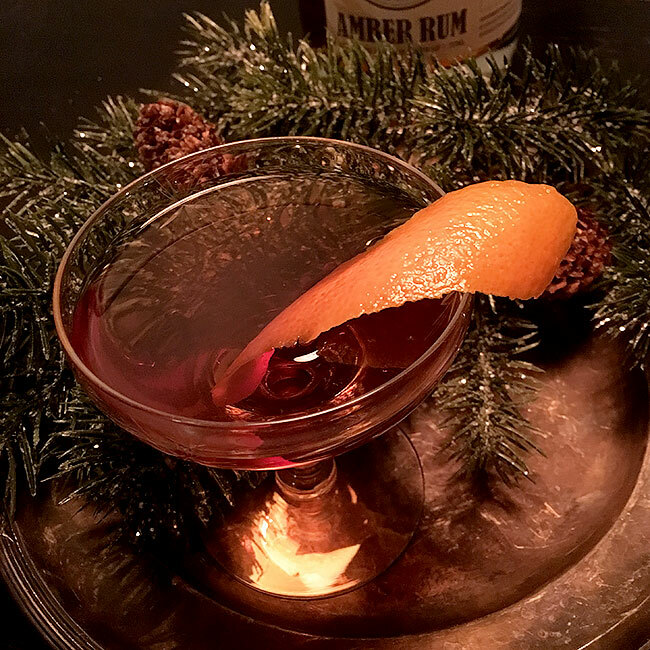 Amber Rum and Bitter Liqueur makes for a sophisticated and complex cocktail that’s simple to mix and enjoy. Stir all ingredients with ice in a mixing glass. Strain into coupe glass and garnish with an orange twist.